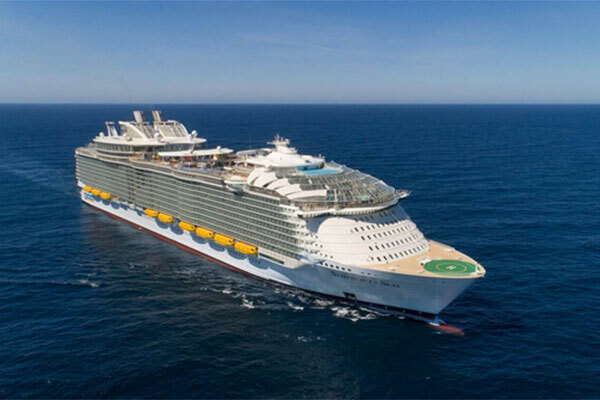 Royal Caribbean, an award-winning global cruise brand, will be hosting the biggest celebrations featuring a variety of shows and activities at sea this festive season, with visits from Santa, and his hard-working elves to cheer littles on their way. Each one of Royal Caribbean’s ship has its own festive spirit with different activities inspired by the nature of the sailing destinations. Each ship also will feature a tree lighting ceremony, and each Centrum, Royal Esplanade or Royal Promenade, the centre of fun and thrills, will be transformed into a winter wonderland. Festive seafarers can look for the Holly Jolly Holiday Parade, festive photo opportunities, carolling, holiday movie screenings, craft making, story time with Santa’s elves, and games for all ages. When it comes to the culinary experience onboard, Royal Caribbean tops the list, with 20 dining options featuring cuisines from all around the world. Forget the hassle of preparing Christmas dinner for the whole family, put the diet on hold, take to the seas and experience a global feast while you’re entertaining and relaxing and spending quality time with the closest and dearest ones. Royal Caribbean is serving up all the favourite holiday dishes at 150 Central Park, Giovanni’s Table and Chops Grille, where guests can indulge in a holiday-themed version of our Bottomless Galley Brunch. Cap it all off with New Year’s On Deck, the celebration you can’t miss, featuring favours at every venue, where the celebrations are actually epic onboard, and the countdown is full of suspense. As soon as the count ends, hundreds of balloons fall on the guests all around the ship, where they are cheering loudly and happily entering the new year.